Of Late, there has been a lot of talk about the model that will follow the BlackBerry Key One and recently it has been made known that the successor of the BlackBerry Key One, the BlackBerry Key 2, will be released soon. However, hardly any proper specifications have not been given regarding the all-new BlackBerry smartphone. But from rumors it is pretty evident that the BlackBerry Key 2 will be powered by the Snapdragon 660 core processor chip and will probably have 6GB of RAM. This new device by BlackBerry was first seen on the Geekbench as Qualcomm BBF100-1. BlackBerry has simply teased the release of an all-new smartphone which would also be the second generation of phones following the BlackBerry Key One. But since they have refrained from making a formal announcement regarding the make and model of this new Android phone, one cannot be too sure about how its design is going to be. However, rumors do suggest that it will be a touchscreen display with a resolution of 1620x1080 pixels. Now it is almost a certainty that this new BlackBerry Key 2 will have a physical QWERTY keyboard, but again no assurance can be given before a formal report is issued. Also, the aspect ratio of the completely HD display is expected to be 3:2. The design might be kept similar to the previous model of Blackberry Key One but, this might change because already a bronze colored Blackberry Key One has been launched so, the design of the BlackBerry Key 2 might just be modified. It is obviously expected that the BlackBerry Key 2 is going to run on the latest Android version 8.0 Oreo and it has already been known that the smartphone will be powered on Snapdragon 660 octa-core processor along with Adreno 512 GPU. Now this will be an upgrade because right now the BlackBerry Key One is using the Snapdragon 645 processor chip. BlackBerry Key 2 will also have 6GB RAM. Nothing is known about the camera features of this new smartphone. 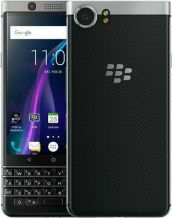 It might be similar to the BlackBerry Key One or it can be a better version. It is expected to have Dual Tone LED flash, Selfie Panorama Mode and support the common image types like JPEG, GIF, and PNG. Audio Visual formats like 3GP, MKV, WEBM, AVI, AAC are also expected to be supported because the same is seen in case of the BlackBerry Key One. The BlackBerry Key 2 will have facilities for Quick Charge 4.0 but no details have been given about the kind of battery it will come with. The battery might be same as the one in BlackBerry Key One which is a nonremovable 3505 mAh Lithium Ion battery. The smartphone will also support the most recent Bluetooth 5.0 connectivity. Might have Quick Charge 4.0 facility. The rear camera might be of 12 MP only.